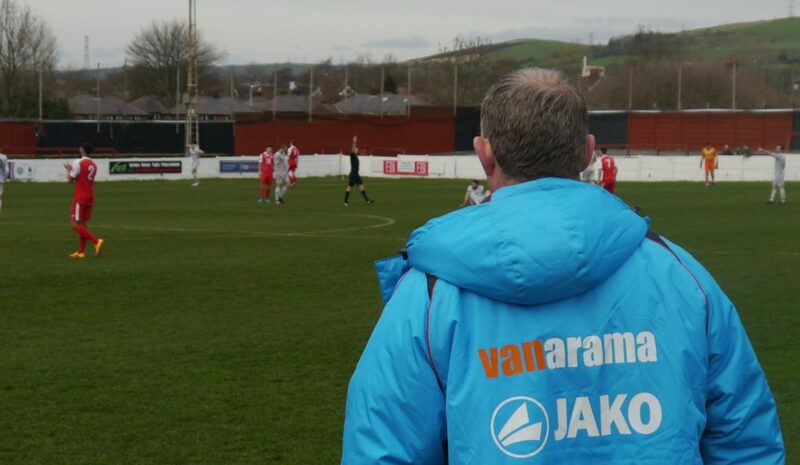 Alun Armstrong was full of praise for his side after their 3-0 win away at Ashton United on Saturday afternoon. Goals from Kieran Green, Louis Laing and Dan Maguire in the opening half hour secured the three points as Spartans rose to 12th in the Vanarama National League North. “I picked the team today to demand the ball,” said Armstrong, “some of the football we played first half was unbelievable. “It was important we avoided a performance like we produced last year in a similar situation against North Ferriby United, we had to ensure history was not set to repeat itself. Spartans front six lacked the accustomed height of Robert Dale and Sean Reid, but still proved a threat from set-pieces, scoring twice from corners. “Robbie has been away skiing this week and he just got back yesterday so I decided to start him on the bench, and Sean Reid is getting married shortly so he will miss a few games. A first clean sheet for 11 games brought praise. After a first half of dominance, the second period saw Spartans defend stoutly throughout. “I thought Louis Laing was outstanding, and Michael Liddle has come back in after injury and done really well. “Connor Oliver came back in today and the amount of work he got through was unbelievable, some of the lads said it was like having another Jarrett Rivers out there with the workrate he put in, he was all over the park. “And Greeny has worked his nuts off to get himself into probably the best condition I have ever seen him in. If he keeps doing what he is doing he’ll get back to what he wants to be, a professional footballer. “It would be a loss for us, but if he keeps working, he’ll get there. Armstrong will now look ahead t two away games in three days starting Saturday against AFC Telford United.